Hailed by the Baltimore Sun for his “eloquent phrasing” and “persuasive acting,” and by the Washington Post for his “impeccable” interpretation, American tenor Michael Dodge is a singer of art song, oratorio and opera currently based in Toronto, Ontario. Michael has been a winner and finalist in competitions including the Hal Leonard online vocal competition, Granite State NATS, and Boston NATS. In recent years, Michael has frequently appeared on the opera and concert stages throughout Baltimore and Washington D.C collaborating with groups such as Lyric Opera Baltimore, Concert Artists of Baltimore, Baltimore Concert Opera, Charm City Baroque, Bel Cantanti Opera, the Great Noise Ensemble, and more. Recent appearances include the tenor soloist in Bradley Ellingboe’s Star Song with the Manchester Choral Society, the tenor soloist in the Pergolesi/Durante Magniﬁcat with the Maryland Choral Society, tenor soloist in Michael Gordon’s modern opera Van Gogh with the Great Noise Ensemble, Bach’s Coffee Cantata with Charm City Baroque, Mozart in Mozart y Salieri(Rimsky-Korsakov) with Bel Cantanti Opera, Spalanzani and Nathanael in Les Contes d’Hoffmann(Offenbach) with Bel Cantanti Opera, Don Ottavio in Mozart’s Don Giovanni with the Toronto Summer Opera Workshop, Obadiah in Mendelssohn’s oratorio Elijah with The Bassi Brugnatelli Summer Symposium in Robbiate, Italy, the tenor soloist in Zigeunerlieder(Brahms) with the Chamber Music Society of Maryland, tenor soloist in Haydn's Lord Nelson Mass as a resident artist with the New Hampshire Music Festival, tenor soloist in Bach's St. Matthew Passion with Concert Artists of Baltimore, in the Baltimore Concert Opera’s productions of Rigoletto and Tancredi and in the chorus of the Baltimore Lyric Opera. 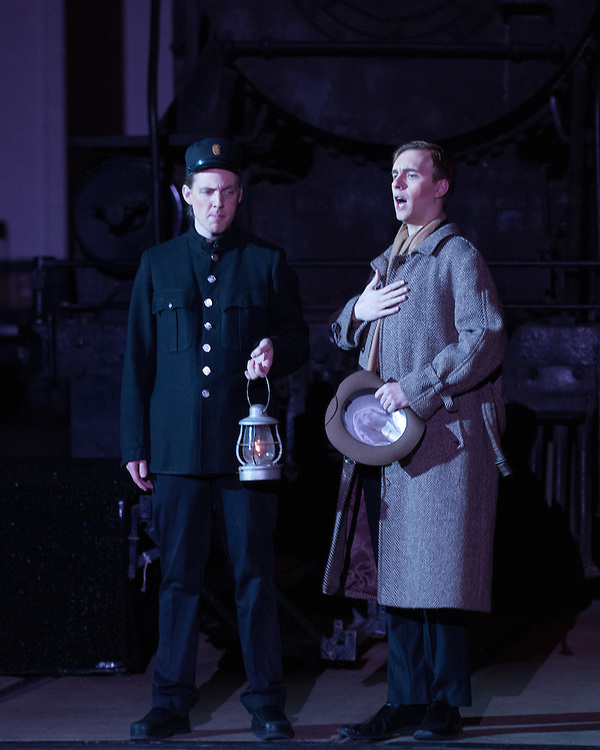 In the 2017-18 season, Michael made his debut with Opera Northwest in Thunder Bay, Ontario where he sang the role of Rinuccio in Puccini’s Gianni Schicchi. Other highlights of the season included Beethoven’s Mass in C, Stainer’s The Crucifixion, Bellini’s I Capuleti e i Montecchi, Mozart’s Le nozze di Figaro, Bach’s Cantata 149 and St. John Passion, Bernstein’s Trouble in Tahiti, a series of lecture-recitals on Swedish art song, and a lecture-recital featuring the unpublished works of Ivor Gurney. This season, Michael’s solo engagements include Handel’s Messiah (Toronto Beach Chorale), Handel’s Chandos Anthems 1 & 9 (Mississauga Choral Society), Mozart’s Die Zauberflöte and Hindemith’s Hin und Zurück (The Glenn Gould School). Other projects include a recital of depression-era music at the Bata Shoe Museum, and Herbert Howells’ Requiem with the newly formed Aspirare Vocal Collective. Michael will also join Opera Atelier as a chorister in their production of Mozart’s Idomeneo, and sings in the prestigious Cathedral Choir at St. James Cathedral in downtown Toronto. As a scholar of musicology and theory, Michael has presented research papers on vocal music at conferences in the United States and abroad. Michael is currently pursuing the Artist Diploma in Voice at the Glenn Gould School of the Royal Conservatory in Toronto where he studies with Joel Katz. Michael holds degrees from Plymouth State University in New Hampshire, and the Peabody Conservatory of Johns Hopkins University where he worked as a graduate assistant and was awarded the George Woodhead Prize in Voice.